The 2014 Lexus RX is a multipurpose vehicle that is designed to address various needs. With brands such as BMW, Audi, and Mercedes Benz as its competitors, a review of the 2014 Lexus RX needs to be a little more decisive. The luxury branded vehicle with a five-passenger fit is posed to be an all season and all weather family wagon. Its predecessors have made tremendous sales mostly as a result of its strong brand but also its position as a utility vehicle. The 2014 Lexus RX is a 3.5 liter V6 engine with the hybrid adorned with a 123-kW electric motor. The hybrid is branded 2014 Lexus RX 450h. The total output of the vehicle is 245 horsepower at a 6,000 rpm engine performance. The torque of the vehicle is 234lb-ft at a 4,800 rpm for the gasoline engine. Other specifications of the car include highway fuel economy levels of 18/25mpg for a four-wheel drive and 18/24 mpg for AWD. With a F sport engagement, expect 18/24 mpg performance. The car has a 6-speed automatic transmission that has rapid acceleration abilities through the quick shift mechanism, with a maximum towing capacity of the car stands at 3,500 pounds. The new model comes with more features including a 115 volt outlet and pre-collision system features such as breaking preparation and automated forward collision warning. Other unique features such iPhone synchronization for 4S or newer phones and voice controlled internet function. What are the advantages and disadvantages of the 2014 Lexus RX? To be fair to the buyers of the vehicle, considering the cost incurred, the analysis is based on its positioning as a luxury car. -Styling of the vehicle: The car can pass as a good-looking family vehicle and can be used for various purposes. The design of the car meets all the needs of the vehicle from luxury to utility. 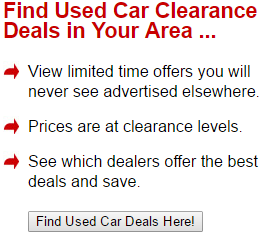 -Key notable features: The technology in use within the car is superior and modern compared to its competitors. The car comes with a power rear door and a remote touch controller among other features. The car has a great side impact crash score based on testing and is installed with modern technologically empowered safety features. -Comfort and quality: The interior of the RX is warm and well polished. The coziness of the interior is a result of its spacious shape. It has a power tilt and good amenities and ample legroom for all the seats. The cargo capacity can expand to 80.3 cubic feet without interfering with your comfort. -Performance: The car has what is described by many analytics as razor sharp steering and taut suspension. The road noise is hardly noticeable while the handling and breaking of the car is perfect. The impression is that the Lexus quality transmission is slightly missed. The elevated ride heights and pillow standard suspension tuning makes a better driving experience. -Fuel economy: The hybrid vehicle is economically sound. For a car of its stature, the expenditure is lower compared to other vehicles. The 3.5-liter V6 engine comes with an additional 123-kW electric motor for the hybrid type. The total system horsepower stands at 295. -High reliability levels. The design and performance of the vehicle matches the functional need for reliability. The car comes out well as a high performing vehicle especially considering the level of comfort and driving experience. -Safety: With a stability control capability and 4-wheel disc with anti-lock brakes, the car manufacturer considered the safety of the drivers and passengers. Additional safety features include active front headrest and 10 airbags. In the event of an accident, you get access to a 24-hour response center for expedited assistance. -Good long term ownership cost: Considering the features of the vehicle and its suitability for use as a utility, family, and luxury car, the 2014 Lexus RX has a good long term ownership cost. 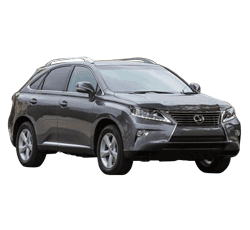 You get value for your money in many ways when buying the 2014 Lexus RX. -Comes with optional equipment for customized use: Buying the 2014 Lexus RX gives the driver upgrade options. Items such as color LCD display, rear entertainment system, rear back up camera, smog-sensing automatic recirculating climate system among other equipment. The use for the vehicle may be adjusted with these features to make it more appropriate. -It is a practical vehicle: The design of the car from the exterior to the interior is made up of equipment that are not environmentally irresponsible. The car does not have what is not needed just for the sake of it or in an attempt to increase its value. Most luxury vehicles are known to be adorned with features that do not make sense to the user. This car is conservative in choice of what is to be installed and what is not necessary. -Low mounted rear bench seat: The 2014 Lexus RX does not have a third row seat. It has a low mounted rear bench seat instead. The design misses the point because the use of space would have included a more comfortable seat for off-road vehicles. -The driving experience is not engaging: When driving the car, there is something missing when it comes to the relationship between the driver and the machine. The contact and the feel of the road as the car moves is lacking with the 2014 Lexus RX. This results to unexciting handling of the car making long distance driving boring. -Complicated infotainment controller: Many critics have pointed out the complicated infotainment controller. The machine is a distraction to the driver. This piece of technology is too complicated for use when concentrating on driving. This makes driving more strenuous than necessary. The options to 2014 Lexus RX are the Mercedes-Benz GLK, BMW X3, Audi Q5 and Lincoln MKX with most of these vehicles sharing the same price range as the Lexus. The German brands have better technology but have a higher maintenance cost and do not share the variability in use but may have better handling. Their styling may be better especially for the BMW and Audi Q5 but the Lexus still stands as a better choice because its advantages far outweigh the disadvantages and, cumulatively, it is a better brand compared to its competitors.